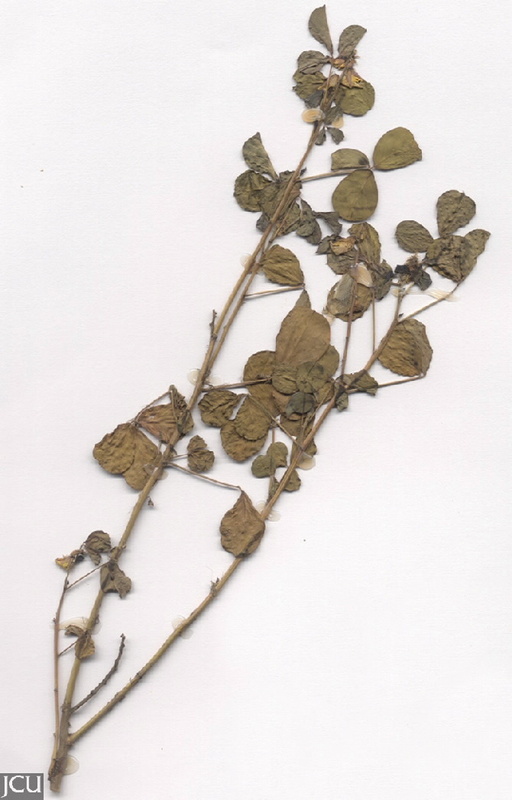 Stem with short yellowish hairs; leaves with 3 leaflets, 4 cm long, broadest above the middle. Flowers pea-shaped, corolla scarcely exceeds length of calyx; standard petal yellow with veins reddish, keel with twisted beak. Pod brown covered in hairs, 2.5-3.5 cm long.